The iWatch won’t be an official product until it’s announced on the stage of an Apple press event, but a Thursday report lends more credibility to rumors that Apple’s smartwatch is imminent. Referencing various anonymous supply-chain sources, Reuters has reported that Taiwan’s Quanta Computer will begin production of Apple’s mythical wearable in July. Details are scant, but the Reuters report says Apple’s smartwatch will feature a 2.5-inch, slightly rectangular, arched touch display, and will be juiced by wireless charging. The gadget will have a heart rate sensor, and connect only to Apple devices running iOS. The watch would go on sale in October, and Apple expects to sell 50 million units within one year of the wearable’s release. LG will make the watch’s display, and Quanta—a company that already makes Macbooks and iPods—will account for at least 70 percent of total iWatch production. Or at least that’s the news from a trio of sources that Reuters quotes off the record. Should Apple release the iWatch (or whatever the gadget is to be called), Microsoft will be the last remaining consumer-tech giant left standing on the sidelines of the wearables space. Hardware manufacturers see wearables as the next step in mobility beyond smartphones and tablets, but an Apple wearable is far from a sure consumer hit. The keys to any iWatch success will be simple elegance and execution. How easy will it be to use apps on the extremely limited screen real estate of a 2.5-inch display? How will Apple surmount perennial wearable bugaboos like Bluetooth dropouts and short battery life? 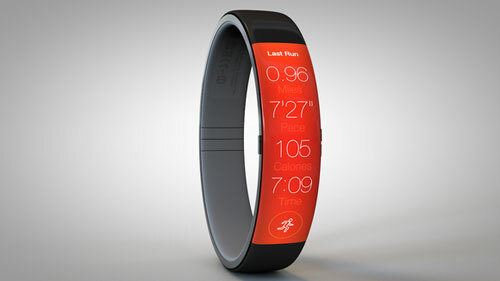 And what whiz-bang features will convince fence-sitters to put a completely new gadget type on their wrists? If any company can figure out the smartwatch conundrum, it’s Apple. But the company will need to move quickly—and keep an eye trained on the competition. At next week’s Google I/O conference, Google is expected to demo LG’s G Watch, which runs the Android Wear OS. It essentially puts the highly acclaimed Google Now digital assistant on the user’s wrist. Android Wear smartwatches won’t be anything like what Apple is poised to deliver in the iWatch. But they could put serious pressure on the iWatch, four months before Apple’s wearable is even released. This may be anathema for someone in the business of writing about tech to say, but I’m not all that interested in iPhone rumors. Shipping products are what grab my attention, not unicorns and phantasms. The minute Tim Cook holds up the new device is the minute it’s worthwhile to start examining features and specs, and all the speculation ahead of time is usually just the noise separating one Apple press event from the next. 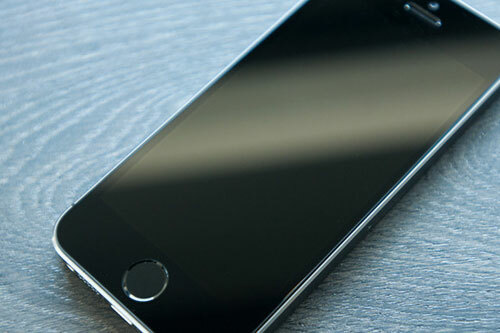 So why did I take notice of this week’s report in the Wall Street Journal that Apple is going to use sapphire on the screens for at least one of its rumored iPhones—the larger, more expensive one—as well as that smartwatch everyone seems to think the company will announce next month? Or to put it another way, I’ve been waiting for a smartphone maker to replace the glass screens on its devices with the more durable sapphire since January 2013. I was sitting in a meeting room at that year’s Consumer Electronics Show in Las Vegas, and a couple nice gentlemen from GT Advanced Technologies were hipping me to the merits of sapphire as a component in handheld devices. The solution, Beaulieu contended, was to use sapphire—perhaps an unsurprising answer, given that industrial sapphire is what GT Advanced Technologies manufactures. But sapphire is attractive as a possible glass replacement for other reasons, as my colleague Marco Tabini noted earlier this year. Chiefly, it’s the hardest natural substance after diamond, and GT Advanced Technologies had developed a way to produce it on a scale that wasn’t cost prohibitive. GT’s Beaulieu told me something else back in 2013 that I didn’t quote in that article: He believed sapphire would be put to use in mobile devices by 2014. That was months before GT wound up inking a $578 million deal to supply Apple with sapphire. And it was more than a year before Apple opened a GT-run plant in Mesa, Arizona, to start churning out sapphire crystal. Still, for Apple, these are risks worth taking if it means producing a phone that can stand out from the smartphone crowd. 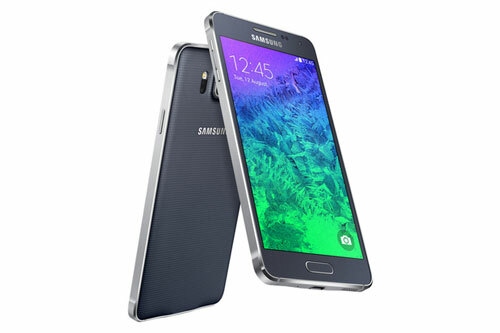 “A lot of [device makers] are looking for differentiation,” Beaulieu told me 20 months ago. If the Journal’s report is true, Apple may have found a way to do that. Recently I’ve been experimenting with different ways of filming and stitching together bits of my everyday life, in order to keep in touch with my far-flung family. Fly (free; up to $10 in-app purchase for full features) may be my most recent test, but it’s also quickly become one of my favorites to play with. The thought process behind Fly is simple: Record up to four videos (either in the app or elsewhere), then bring them into the Fly timeline and use the app’s innovative multi-touch gestures to quickly sew together a fun little video. The emphasis here is on short (under five minutes), visual, musical videos; there’s no way to fiddle with adding text or time transitions. 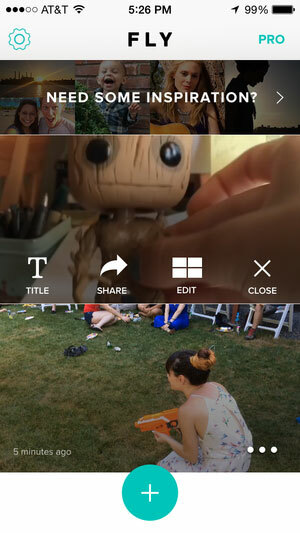 It’s a delightful little app, and it already has me sharing videos a lot more often than I used to. And that’s not even counting its Multi Cam option, which lets you feed in live video from other iOS devices running Fly. When I was a kid, I loved working on my bike. It was a single-speed BMX, and I would put it together, take it apart, and tweak and tune it in-between. In the intervening years, my bikes have gotten more complex, but my repair skills haven’t kept up. Which is why I’m a fan of Atomic Software’s Bike Repair ($4). This universal app offers 58 repair guides, and 95 “tips and tricks” for fixing problems, keeping your bike in top riding shape, and even helping you avoid common injuries that stem from poor bike fit. Browse bike components, and the app shows common repairs and maintenance for each component—mostly basic things, but also more-advanced tasks. 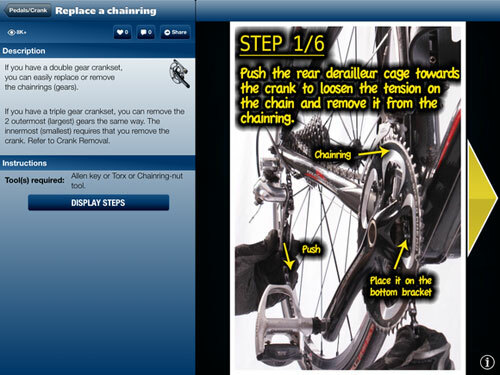 Choose a repair or maintenance task, and Bike Repair shows you detailed information and an illustrated guide. The app includes over 300 annotated images, and while the font used on these photos looks a bit amateurish, the information is nevertheless easy to read. One of my favorite features is My Bikes, which lets you document your bike’s parts, specs, and other information—when you’re at the bike shop, you’ve got everything you need to find the right part. (You can also keep a log of all maintenance you perform.) And Price Search checks over a dozen online vendors for the best price on a part or accessory. It’s a handy app for those of us who cycle for recreation and would like to be a little more self-sufficient. There are plenty of calendaring apps for iOS—and by “plenty,” I mean “way, way too many.” And the one I’ve been using for years—Fantastical—is plenty good. So why am I trying out a new one? Because Timeful does things a bit differently. Oh, sure, it has all the usual calendaring accoutrements: daily and monthly views; syncing with OS X’s Calendar, Google Calendar, and Microsoft Exchange; alarms; repeating events; to-do lists; and so on. But it also has some things most other calendaring apps don’t. For example, it’ll intelligently suggest times on your schedule when you could take care of items on your to-do list. (You can also simply drag to-do items from the list at the top of the day’s window to a specific time.) 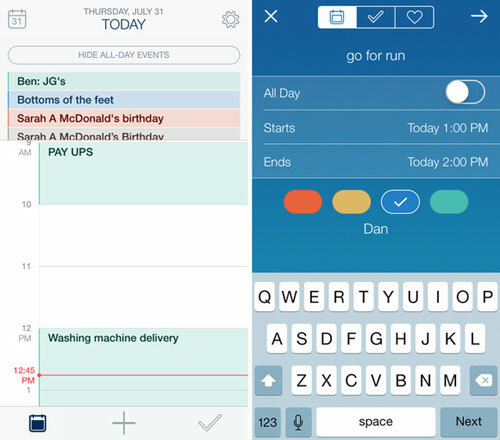 In a similar vein, it also lets you schedule time to work on good habits—exercise, reading, and the like—that often get crowded out of the day because they aren’t on your calendar. I do wish the app synced with Reminders, my current to-do manager, but the developer said that doing so caused them some UI problems. Will I stick with Timeful? Who knows? I suppose I could always add Use Timeful to the list of habits I want to work on. 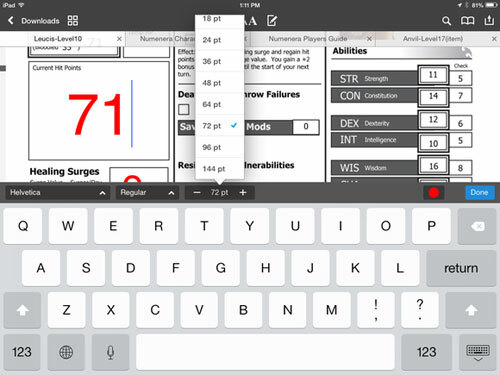 I don’t spend a lot of time marking up PDFs, but when I do, I’ve started turning to Readdle’s PDF Expert 5 ($5). The reasons are pretty clear: not only is it a speedy, well-performing app, but it offers a broad swath of options for annotation. But some of my favorite features may seem almost minor, such as the broad variety of font face and size options that are right at your fingertips. Add in Readdle’s usual aplomb at dealing with a variety of cloud storage and other network sources, and handy file management features, and what you get is a simple, elegant app that handles PDFs extremely well. The public cloud offers extra features like automated offsite backup – but did you know you can get these things and more with a private cloud solution as well? Here’s a look at three ways private NAS setups are becoming a preferable option for small businesses. NAS has come a long way since its origin as a system for secure, on-site data storage. Today’s NAS devices can serve as platforms for virtualization services that would otherwise require expensive and complex hardware to manage. The opportunity to take advantage of NAS as a more economic alternative to a pricey contract with a company like VMWare is a huge benefit for small businesses. QNAP’s Virtualization Station allows you to create virtualized desktops that run Windows, Linux, or Unix operating systems and manage them all from one simple interface. You can assign separate network resources to each virtual machine, and create snapshots of each virtual machine’s status at any point in time. If a VM experiences a failure, you can quickly roll things back to an earlier environment. The biggest advantages to using NAS for virtualization are cost (virtualization is built right into the NAS) and safety (file transfers are delivered within the LAN, instead of over the Internet). When it comes to ensuring your data is safely stored, it simply doesn’t get any better than using a QNAP Turbo NAS. Public cloud services have recently come under fire for breaches caused by hackers and lengthy service outages that have left customers unable to access their data for hours. With a locally hosted NAS device, uptime is no longer a question mark, and your data is always accessible rather than potentially held hostage by the vagaries of the unstable Internet. Furthermore, your data is always protected by multiple security measures while it resides on your NAS. Sensitive files are encrypted, and unapproved IP addresses are automatically locked out by Turbo NAS software. Integrated antivirus detection (with email notification) and full military-grade encryption on both internally and externally connected hard drives give you excellent all-around protection from security breaches and malware. Public cloud services like Microsoft Azure and Amazon S3 are convenient ways to add storage on a pay-as-you-go basis. But setting up these services on multiple client computers can be complicated and time-consuming. More importantly, when you’re finished, you’re left with only a single cloud-based copy of your data as a backup. With QNAP Turbo NAS, you can use Azure and S3 directly through your own private QNAP hardware. With S3 and Azure – both available as apps for the QNAP Turbo NAS – you simply back up data from your network directly to your Turbo NAS, then use the app to make a secondary backup that’s sent to Azure or S3. That way, you maintain a local copy of your data on your own network, and a second copy resides in the public cloud, letting you double down on backup security. These apps even increase your level of data protection through the addition of client-side encryption and the ability to restore accidentally deleted data. Public cloud and private cloud services can coexist, working hand in hand to ensure your company’s data is safer, easier to manage, and faster to access. You can reap the benefits of each by using the public cloud where it makes sense, but leveraging the cost savings and superior speed of a NAS-based private cloud to pull off many of the same tricks more sensibly.